Staycations have become increasingly popular over the years. With airfare flying as high as the planes, and basic hotel rooms at penthouse prices, the next best thing is to stay local. With all the custom features, designs and options available, homeowners are seeing the benefits of long-term investments and creating their own backyard oasis for years to enjoy. All-inclusive vacations to tropical climates are typically the idea of a relaxing vacation. Most would consider these kinds of vacations during the colder months, but why not during the summer? The sun is shining, the weather is warmer, and the days are longer. There are so many ways to create the perfect paradise and it may already be hiding in your backyard. On a hot, sunny day a refreshing pool can be the perfect escape. But as you cannonball in, your eyes are burning, bugs are floating, and green algae is on the stairwell. Routine pool cleaning can prevent costly damages down the road and ensure an inviting swim. Maintaining a pool can be work and requires a little bit of basic pool knowledge. If you’re not prepared to properly clean your pool, then a company like Pool Craft can help guarantee crystal clear and safe conditions. They offer a wide variety of services such as openings and closings, weekly maintenance, liner replacement and more. Above all, they are a well-recognized industry leader exceeding customer expectation. No Pool? Buying a pool can be an investment. Before you go ahead and purchase one, here are Five Pool Building Tips to Keep your Budget Above Water. There are tons of decking material choices, from traditional real wood to low maintenance composite decking. No matter your choice, having a deck free of nails and rotting wood will surely be a space you want to use. If you already have a deck that is in decent shape, you can always restore it. Simply sweep the deck, clear all cracks, scrub the wood and apply a stain or sealer. 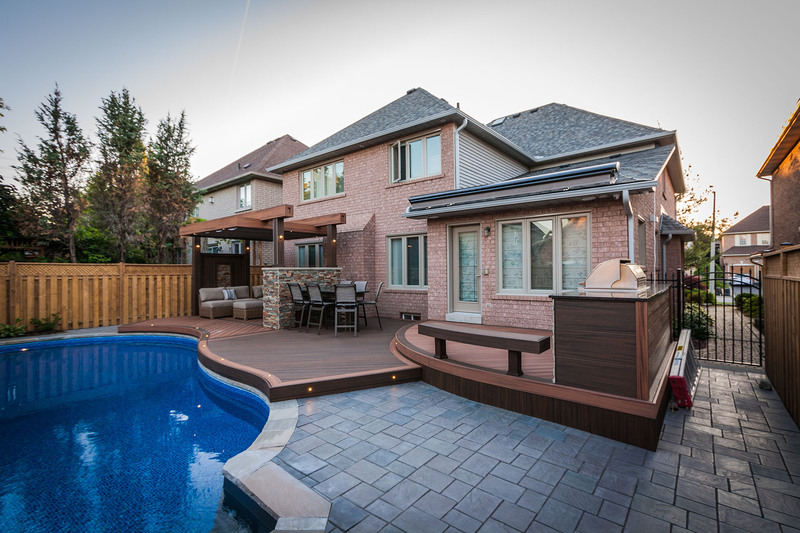 If your deck is unsalvageable and you live in the GTA, look no further than Royal Decks. Miro and company will work with you to design the deck best suited for your area. With their extensive experience and five-year workmanship warranty, they continue their high quality of work resulting in complete customer satisfaction. With a staycation, there is no need to wake up at 7 a.m. to snag the best spot around the pool. Create your own favourite spot using a modern lounger with all the right curves or read the latest book on an all-weather recliner. For the snoozers, a resilient daybed will make it feel like you never even left the bedroom. Look for that perfect lounger at M.E. Contracting’s showroom. At over 7,000 sq. 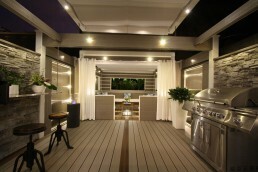 ft., the showroom includes outdoor furniture, outdoor kitchens, stones, decks and pergolas. With their high quality and affordable solutions, it may even inspire you to enhance your green space when the time is right. A seven-day tropical vacation is usually interrupted by a painful sunburn on day two. When in vacation mode it’s easy to forget to reapply sunscreen or to find shelter from the direct sunlight. 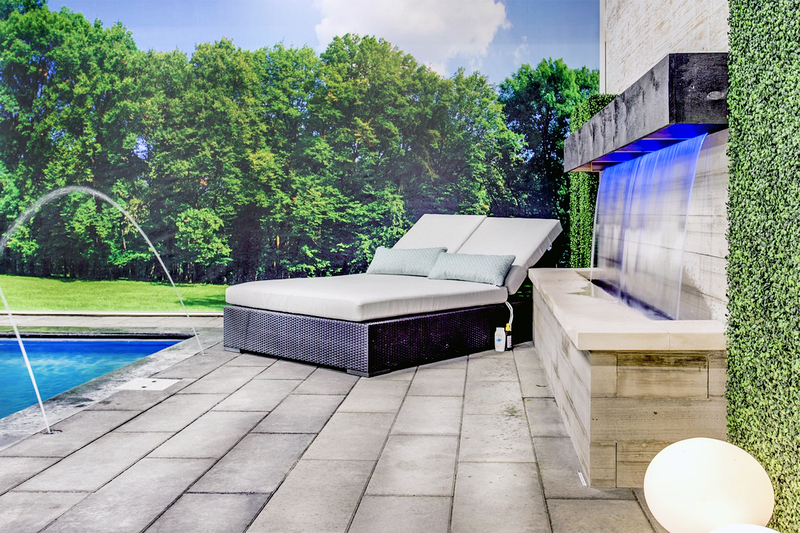 Now that you have these amazing poolside loungers, the only thing missing is that turnkey shade solution. A simple umbrella will do the trick or tie off a sail shade as a quick and easy fix. 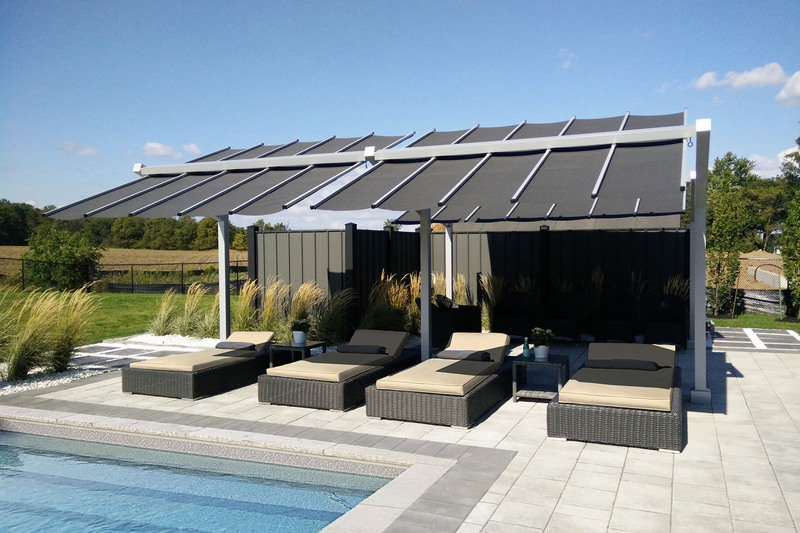 For a modern and long-term solution, ShadeFX has freestanding structures perfect for that poolside coverage. Fill your bar cart with all the cocktail necessities. The basic ingredients to creating your own backyard oasis are coming together: one-part pool, one-part deck, four-parts loungers and one-part shade. Now, what’s that all-inclusive drink you always order from your favourite bartender? Perhaps it’s a piña colada, a Bahama mama or that tequila shot you always regret ordering afterwards? 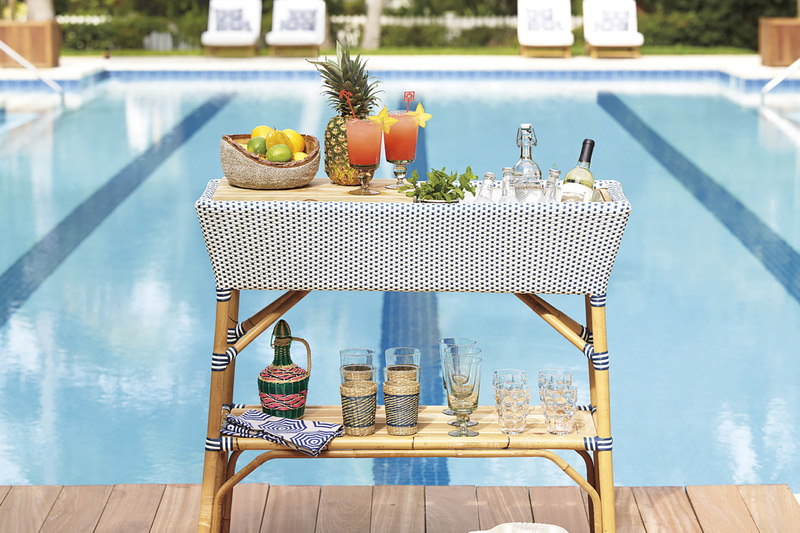 Either way, a bar cart filled with all the cocktail necessities will make sure your glass is always full. Here are Top 10 Resort Drink Recipes. Don’t forget the cute little umbrellas! A staycation doesn’t mean that you’re tied to your house always and forever. Be a tourist in your own city and make plans to go on day trips to the zoo, amusement park or even the museum. Know that when you return, your backyard oasis is there to welcome you home with open arms. A true staycation can feel like a real vacation if you do it right. Ready to invest in your backyard staycation? Give us a call.